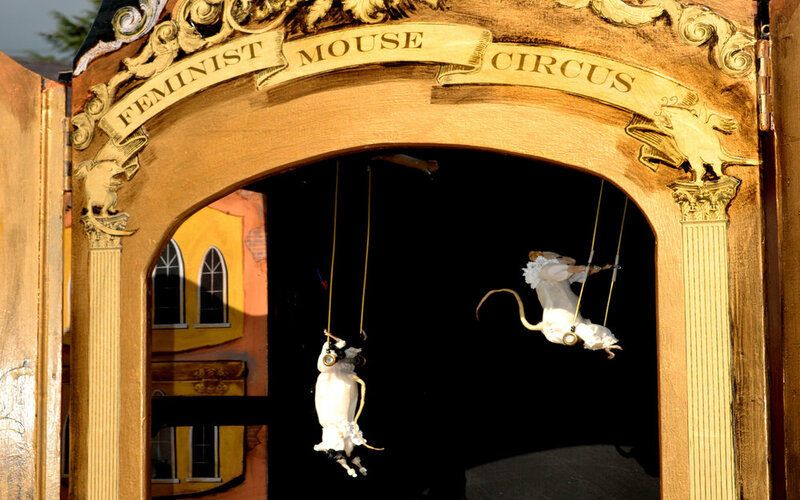 The Feminist Mouse Circus is a touring show set in a mobile, pram based theatre. 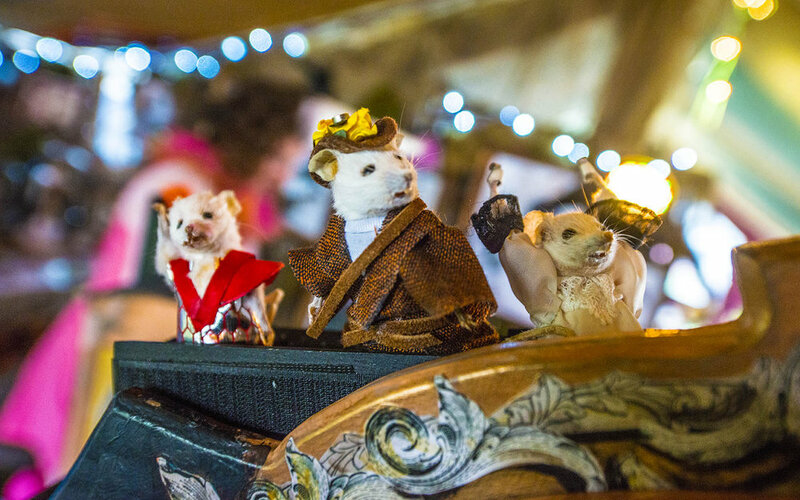 It was created with funding from the Arts Council and has been well received at various festivals and events including Glastonbury, Port Elliot, Boomtown Fair and ADM Festival Amsterdam. 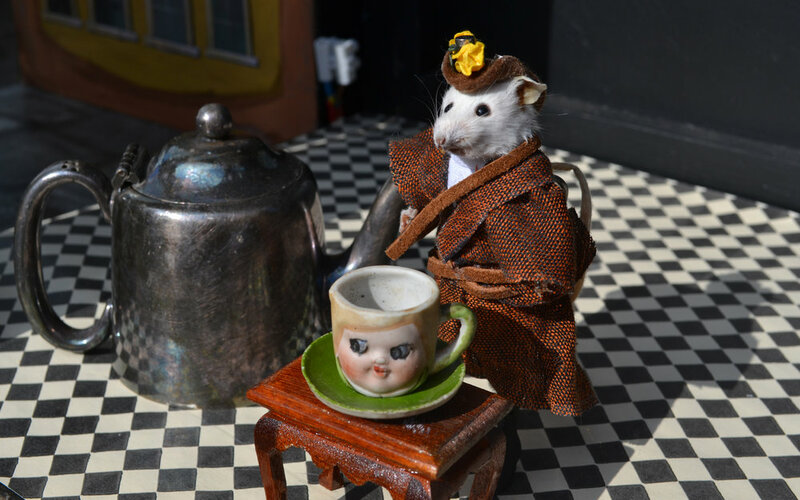 Scroll down to meet some of the cast. 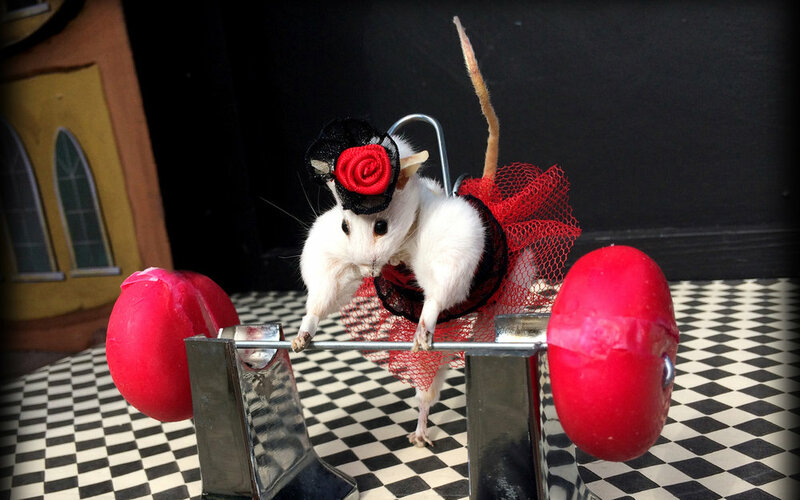 Ms Germaine Gruyere, the circus strong mouse. Emmeline and Sylvia, Aerialists and Suffragettes. Mary Wollstonecraft predicting the future.